BHR Hollywood Reports..........Kendrick's speech was one for the ages. 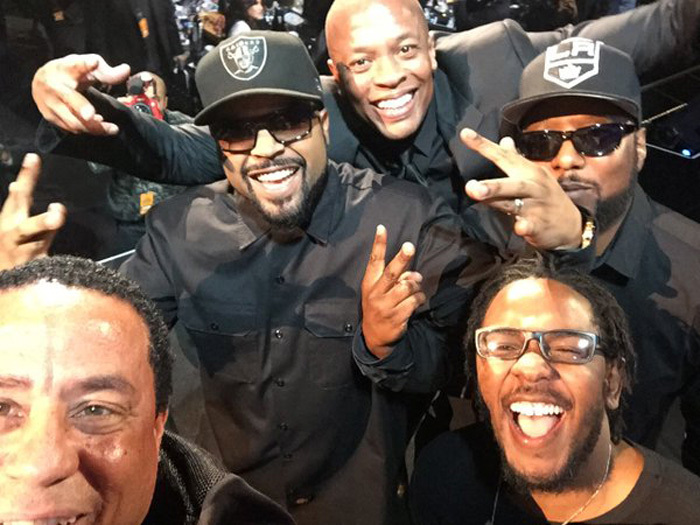 It's always great to see an act as important as N.W.A. recognized for their influence, but it's even better when it's the right person doing the honoring. You couldn't really ask for a better speaker for the group's induction to the Rock & Roll Hall Of Fame than Kendrick Lamar, and he lived up to expectations at the ceremony yesterday. All living members of the group, Dr. Dre, Ice Cube, DJ Yella, and MC Ren, as well as Eazy-E’s mother, were on hand for the induction ceremony at Brooklyn’s Barclays Center, which was filled with compelling moments, including a poignant speech from Ice Cube about why the “World’s Most Dangerous Group” belongs in the Rock Hall despite what naysayers like Gene Simmons say. “Are we rock and roll?” Cube asked. “I say, you goddamn right we rock and roll. Rock and roll is not an instrument. Rock and roll is not even a style of music. Rock and roll is a spirit. It’s a spirit that’s been going since the blues, jazz, bebop, soul, R&B, rock and roll, heavy metal, punk rock, and yes, hip-hop. meaning of gangster, being able to show what it takes to be the world’s biggest music group. 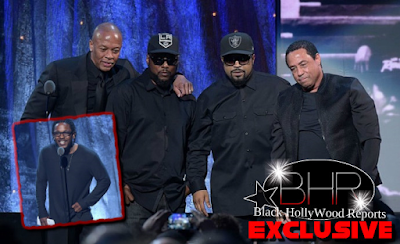 Being gangster is forming iconic labels: Ruthless Records, Death Row, Aftermath Records. Being gangster is breaking out to become a movie star, a movie producer, and having your own son play you as a retrospect to your career, Straight Outta Compton. 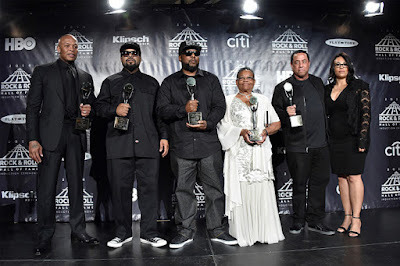 The 31st Annual Rock and Roll Hall of Fame Induction Ceremony, which also includes Cheap Trick, Deep Purple, Chicago, Steve Miller, and Bert Berns, will air April 30 on HBO. 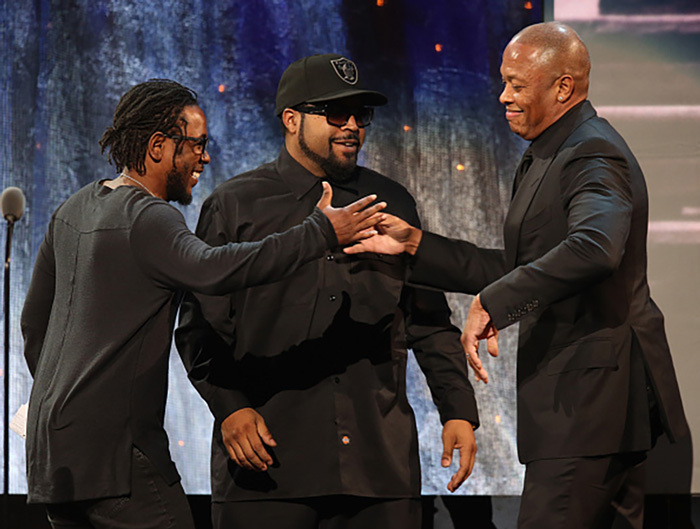 Watch Kendrick’s introduction and see more highlights from N.W.A’s speeches below.